How can a Priest also be a Magistrate? 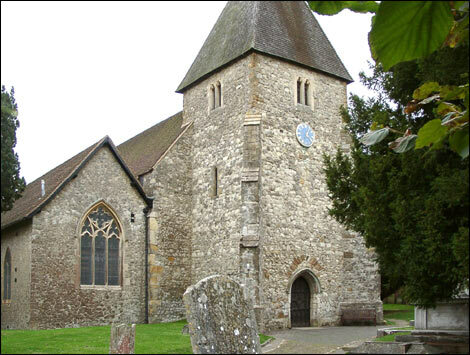 I started sitting as a Magistrate or Justice of the Peace (JP) on the East Kent Bench in December 2010, whilst still a curate in Woodchurch. The Magistrate’s Court is the first tier of the English criminal justice system and deals with about 98% of all criminal cases. The vast majority of magistrates (like me) are part time volunteers, some are retired but many have other day jobs; I trained with teachers, journalists and others. Before being ordained my first career was as a solicitor and, although I did not practise criminal law, I felt very ‘at home’ in the legal system. 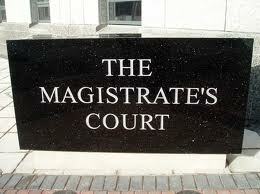 I wanted to be a magistrate as I felt that it would be an interesting way of serving the wider community (i.e. beyond the parish boundary) but that it would also enhance my parish ministry by exposing me to a whole part of society which may otherwise not appear even on a parish priest’s ‘radar’. I am really pleased to say that for the last two and a bit years my experience of being a magistrate has ticked both of those boxes and more. However the range of reactions to a priest being a magistrate has been very interesting. When I was being selected the interview panel was split between those who were worried that I might be a wet, liberal, vicar who would want to let everyone off and those who thought I might be too ‘old testament’ and want to have everyone stoned to death! The interesting reactions continued while I was going through the process of moving on from my curacy to being a vicar. The most extreme came from a very angry sounding lady (who was part of a panel of 16 interviewers) who asked how I could be a magistrate when the bible says that we should ‘not judge others lest we are judged ourselves‘ (Matt 7:1). My reaction was that this applies to all Christians (not just priests) and that if we took her point to its logical conclusion it would mean that no Christians could work within the criminal justice system and, in my view, that would be detrimental to the system. This is not to mention that the bible also contains plenty of ‘laws’ and even has a whole book called Judges! Maybe that makes me a little ‘old testament’ but it seems to me that God brought order out of chaos and that the proper rule of law, with a seasoning of Christian compassion, probably trumps a text taken out of context. Although that was the most extreme reaction (and one that stays with me, as you can tell) the most common reaction was concern about a priest spending any time on an activity outside of the parish. One interview panel seemed very proud of the fact that their previous Rector had to give up all his outside interests because the parish kept him so busy. I said that this sounded very unhealthy both for the priest and the parish; I didn’t get that job! However, it was quite illuminating to see, time and again, both a generalised concern about the vicar having a role away from the parish and a more particular concern about whether a vicar should be a magistrate in the first place. Fortunately the people of St Mary’s Hadlow were not overwhelmed by that concern and I continue to believe that being a priest helps make me an even-handed magistrate and that the experiences I gain from being a magistrate makes me a better parish priest. Today I have doubled the number of services I have taken at St Mary’s to a grand total of two. This morning’s family service went really well and Clifford did a great talk on the falling tower of Siloam, aided by some cardboard tubes. After the service we hot-footed it down to the ‘tin tabernacle’ in Golden Green for another family service and then a quick ‘question time’ for the new vicar. I had to confess that I do not play the guitar or sing so we may need to rope in some musical support in the future for that one. We should be moving into the Vicarage in Hadlow straight after Easter, when the work on the house is finished. Until then I remain a long-distance vicar, driving about an hour each way to the parish. Whilst everybody has been absolutely fine about that (at least within my earshot) it does feel distinctly ‘odd’ not being present in the community. In fact I am doing the absolute opposite of what I thought and imagined I would be doing at the start of a new ministry, which is basically being everywhere and seeing everybody. As my training incumbent always said: “Man proposes, God disposes.” In other words God looks at our plans, has a little chuckle, and does what He wants to do with us. I suppose this time of transition is both helping to ease us out of our beloved, adopted, Woodchurch, whilst reinforcing the value and importance of a priest being present in their church community – to use the phrase – ‘incarnating’ the gospel. On the home front (still in Woodchurch) Annabelle had a big day today as she rode her bike for the first time without either stabilisers or daddy holding on. I know it probably should have happened years ago but, nonetheless, today I had that rather poignant moment of stopping running and watching her cycle down the road on her own, willing her not to fall and feeling very proud but still missing the ‘holding on’. 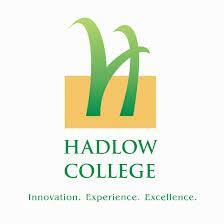 Back to Hadlow in the morning for a meeting with the people at Hadlow College for a talk about chaplaincy work there. Although my Vicaring has started in Hadlow we have still not moved into the Vicarage whilst we wait for some bits and pieces to be done there. Whilst that is not too much of an issue it did mean a very early start this morning (5.45am) in order to get there for the 8.00am service. However, as I keep telling myself, lots of people with ‘proper’ jobs commute all the time. The more important issue is that it is hard to be a priestly presence when one is being a commuter and not being present in the community. Still, I shall try to be there as much as possible and, before too long, we shall be there more fully. So, how do I feel after being installed on Tuesday and having done my first services? The answer is that I feel well and truly welcomed and I look forward to getting properly stuck in! On the 19th February 2013 I had the privilege of being collated, inducted and installed as the 61st Vicar of St. Mary’s, Hadlow, in the Diocese of Rochester. At the time of writing I have yet to take my first Sunday as Vicar but here is a sneak preview of my first sermon.